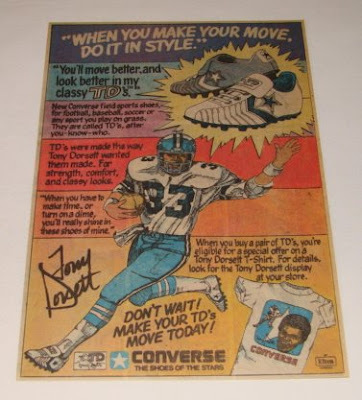 The Converse Blog: Friday Flashback: Converse TD's Tony Dorsett. 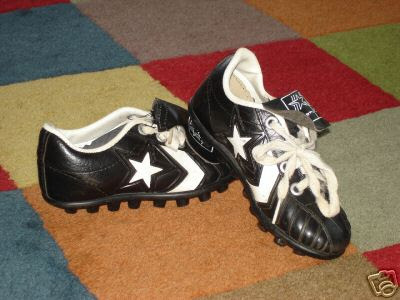 Converse used to make Football Cleats. I know this might come as a real surprise to some of you. Of course, there are some people that think that Chucks are the only shoes Converse makes. That is probably one of the reasons why I only have a handful of Chucks. I vaguely remember a time when Converse was currently producing Football and Baseball cleats. Actually, one of the last Converse football cleats is or was, prominently featured in the background of one of ESPN many shows dedicated to the NFL. 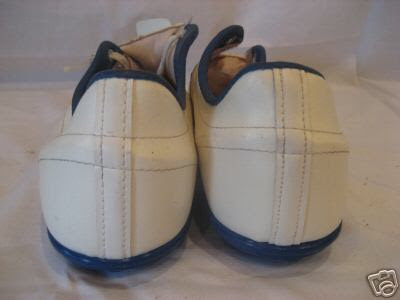 I know very little about 70’s and 80’s football footwear. 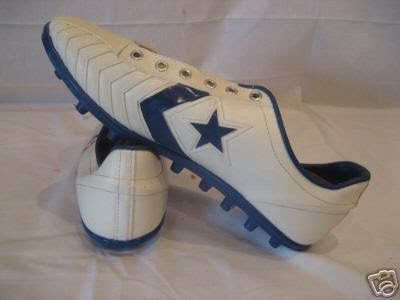 However, one thing I do know is that a certain Dallas Cowboy had his own Converse Cleats. For his career he had12,739 rushing yards and 77 rushing TDs in 173 games. 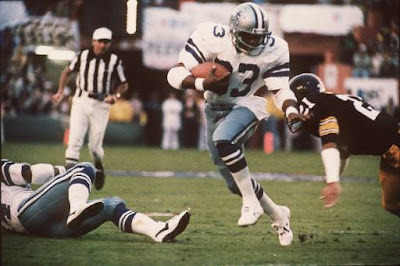 Tony Dorsett is the only player in the history of football with the following five career achievements: A national college championship, a Heisman Trophy, a place in the Collegiate Hall of Fame, a Super Bowl championship, and a permanent place in the Pro Football Hall of Fame. 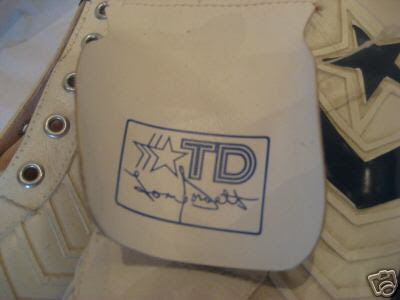 For today’s Friday Flashback I present to you the Converse TD's. TD for Tony Dorsett and Touchdown, a couple of words that found themselves together often. 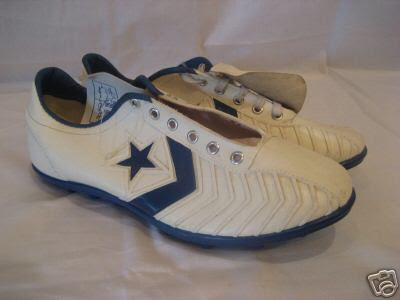 These cleats were released during the time that Converse was owned by the Eltra (1972 to 1979) . I am unsure of the exact release year, maybe someone out there could help me. However, I know that they are from the Eltra Era because of this wonderful ad I found searching around for more information. You can see in the bottom right hand corner the Eltra logo that was came with any Converse advertisement or packageing at the time. I've seen similar shirts from this time period that had the Converse square (my favorite Converse logo) behind a famous athelete. Previoulsy, I've only seen Larry Bird and Dr.J shirts. 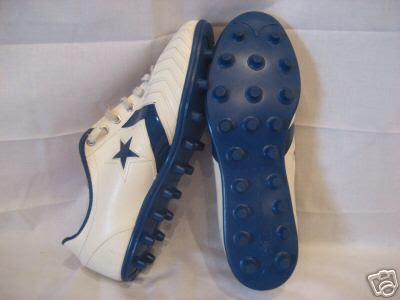 As I said before I am not very knowledgeable about cleats from this time period, but I would say that these stood out. The ribbed Chevron's from the center of the shoe to the toe cap are wonderful. I know it's a small touch but I really like how the blue outsole pulls it all together. Pictures of the shoes are from eBay. This was the only picture of the Black/White colorway that I could find. I've seen better ones than this, because these appear to be in a child's size. 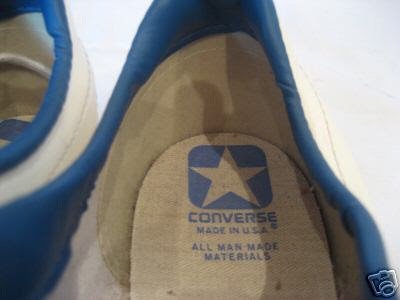 Regardless, this is a shoe I would love to see come back under the Re-Issue department of Converse. I assume they're still doing that. 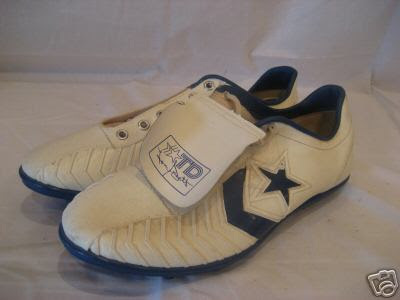 I hope you've enjoyed a trip back to a time when Converse were worn for more than just for Basketball.